Enregistrer I am in Atlanta. It's Friday. And it's absolutely snowing buckets. And it's just at the right (or wrong) temperature for it all to stick. We have actual accumulation. And I moved down south to get away from this stuff! But it will be a great weekend to curl up with a cat or two and a good book or three. I got lots of wonderful things over at Reading Reality, but here are a couple of teasers. Nice haul! I really hope to read my first Anne Bishop book next year! I've heard fantastic things! I hope you'll enjoy all the books you got! Happy reading! Awesome haul. The first book in your pile is new to me. I hope you love it. I moved south to get away from the cold too, but, baby, it is cold outside! ohhh I can't wait to get my hands on alisha rai's book!! Ihope you enjoy your reads this week. 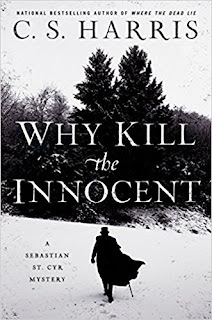 Why Kill the Innocents - that's quite a title. Enjoy your latest. 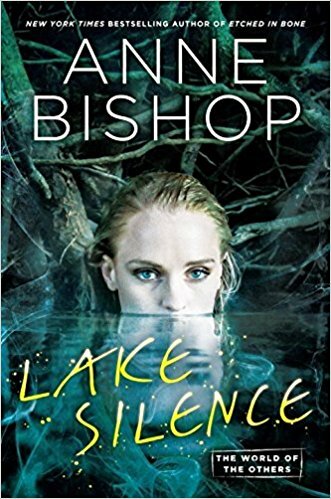 Ooh Lake Silence looks good, love that cover!